About Us: Hazmat Service, Inc. was established in 1999 providing 24hr hotline for emergency responders, such as fire fighters, law enforcement and private companies to obtain information and assistance for emergency incidents involving chemicals and hazardous materials. Registration with Hazmat Service authorizes shippers of hazardous materials the right to portray the Hazmat Service phone number(s)(domestic & international) on their shipping documents, Safety Data Sheets (SDS) and hazard communications labels. 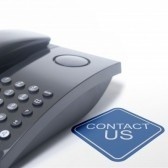 The portrayal of the Hazmat Service phone numbers(s) helps registrants to comply with government regulations, such as the U.S. Department of Transportation regulation 49 CFR § 172.604, which requires shippers of hazardous materials to provide a 24-hour emergency telephone number on shipping documents for use in the event of an emergency involving hazardous materials. Hazmat Service has a broad range of critical resources that can help emergency responders mitigate incidents involving hazardous materials, such as: • A round-the-clock communications center staffed by trained and experienced emergency service specialists; • Immediate access to thousands of chemical product specialists and hazardous materials experts through Hazmat Service’s database of over 10,000 manufacturers, shippers, carriers, public organizations and private resources; • A state-of-the-art telecommunications system that supports the emergency response team, seamlessly linking on-scene responders with chemical experts, transportation companies, and medical experts; • An expansive electronic library of over 1 million Safety Data Sheets (SDS); • A database of medical experts and chemical toxicologists who provide advice and emergency medical treatment assistance to on-scene medical professionals treating victims of product exposure. • Interpretation capabilities for more than 180 languages in the event of an emergency involving non-English speaking entities. Hazmat Service’s headquarters are located in Bethlehem Pennsylvania (Northeast Metropolitan Area). 24 Hour Hazmat Emergency Response 800 Number / International Number Telephone Answering Service for Haz-Mat handlers and shippers. MSDS Management along with DOT Training and Compliance. 24 Hour Hazmat Emergency Response 800 Number / International Number Telephone Answering Service for haz-mat handlers and shippers. MSDS Management along with DOT Training and Compliance. info@hazmatservice.com 888-932-9994 Ext#1 - Subscriptions">24 Hour Hazmat Emergency Response 800 Number / 24 Hour International Number Telephone Answering Service / 24 Hour In Country Specific Emergency Response for haz-mat handlers and shippers. MSDS Management along with DOT Training and Compliance. 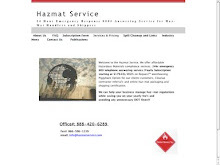 info@hazmatservice.com 888-932-9994 Ext#1 - Subscriptions In pdf. Format. Return along with MSDS / SDS sheets to receive a 24 hour Hazmat Emergency Response 800 Number / International Number and Contract Number to satisfy all DOT requirements for Hazmat Handlers and Shippers. Hazmat Service will help you remain in compliance by providing your 24 hour Hazmat Emergency 800 Response Number for all your hazardous material shipping.